The course is designed to maximise the performance of school-age learners. It features eight units covering the core Preliminary for Schools topics, vocabulary, grammar and the skills needed for all five exam papers. Two teen-inspired topics in each unit ensure the entire exam syllabus is covered, and can also act as a basis for CLIL-based extension activities and projects. Grammar sections and a Grammar Reference help students build up the accurate language structure necessary for most challenging parts of the Reading and Writing paper, while B1-level vocabulary is targeted, drawing on insights from English Profile, and brought together in a Wordlist based on key vocabulary from the units. 'Exam tips', and grammar and vocabulary exercises teach students to avoid common mistakes identified in Cambridge's unique collection of real exam papers, the Cambridge Learner Corpus. B1-level vocabulary is targeted, drawing on insights from English Profile, and brought together in a Wordlist based on key vocabulary from the units. 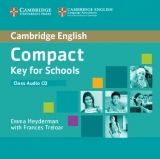 A CD-ROM accompanying the Student's Book offers additional practice in grammar, vocabulary and exam practice, including Listening. Two teen-inspired topics in each unit ensure the entire exam syllabus is covered, and can also act as a basis for CLIL-based extension activities and projects. Each Student's Book unit contains one exam style Reading, Writing, Use of English, Listening and Speaking task. A complete practice test is included in the Student's Book, with exclusive access to a further test and audio online.